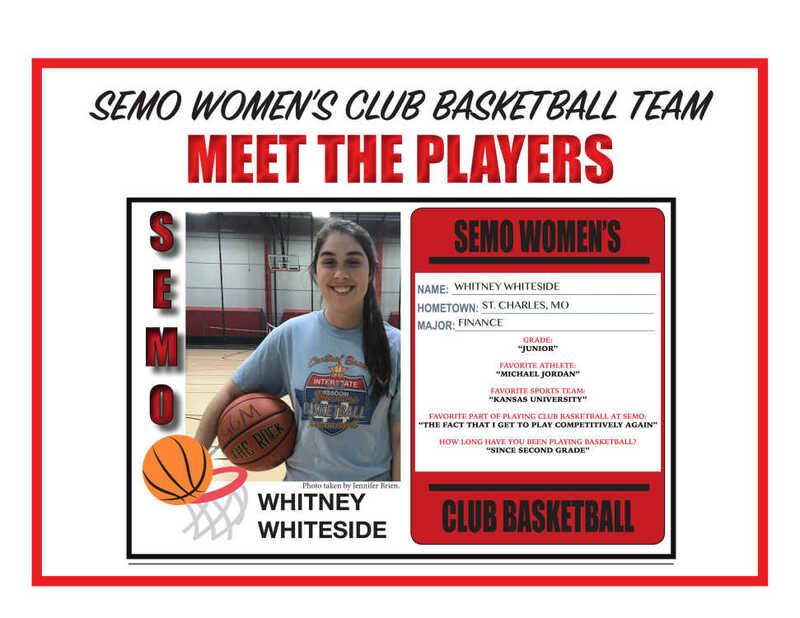 The Women’s Club Basketball team has begun its first semester as a club under the leadership of sophomore KP Pierre. 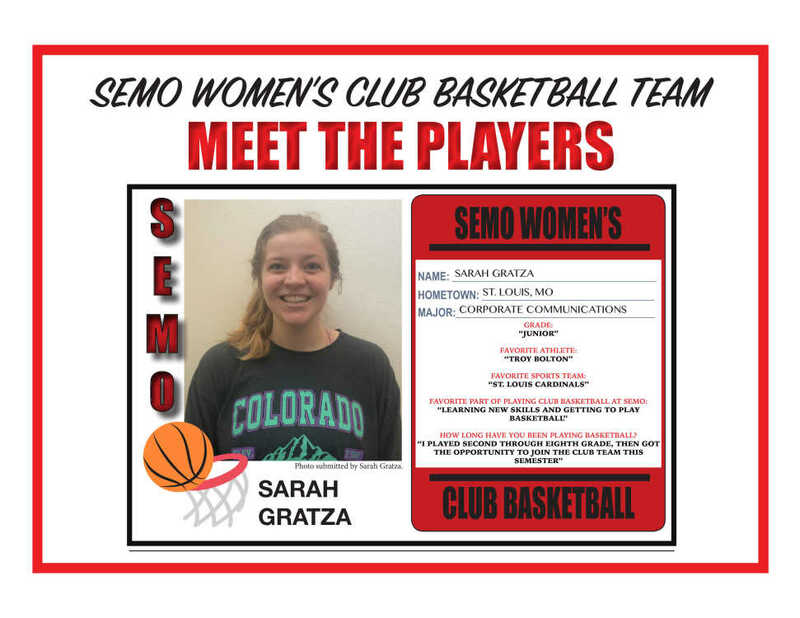 Last semester, the club tried to get started but struggled with finding numbers to make a team. 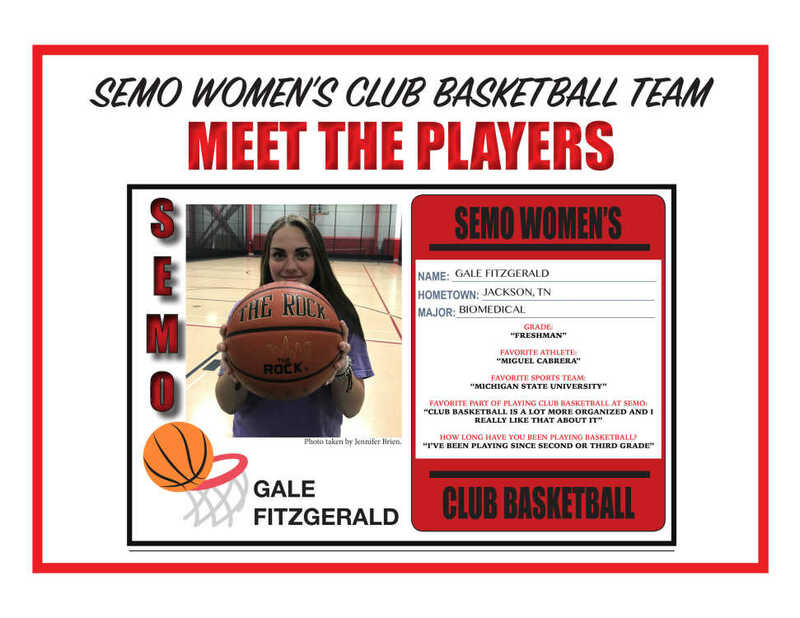 With a background in basketball, Pierre took it upon herself to get the club started. 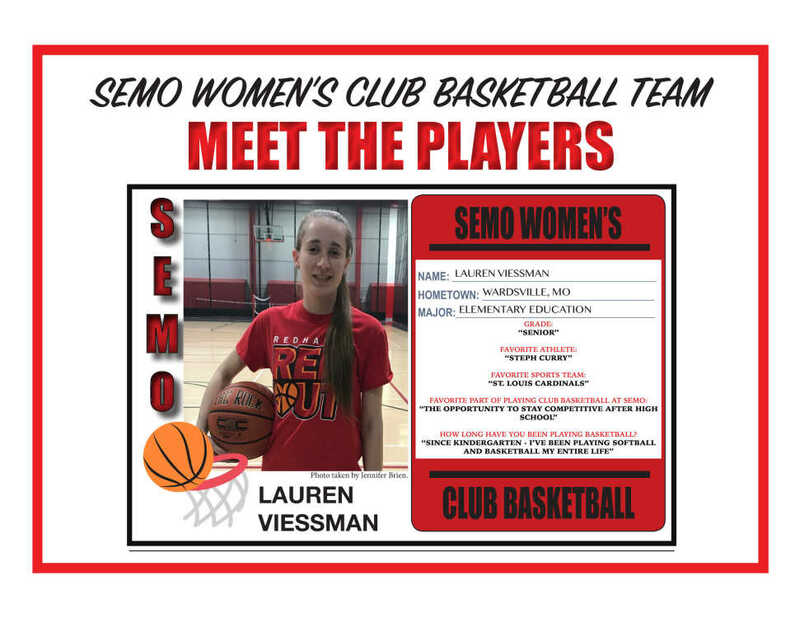 Pierre said she played club basketball at Missouri State before transferring to Southeast. 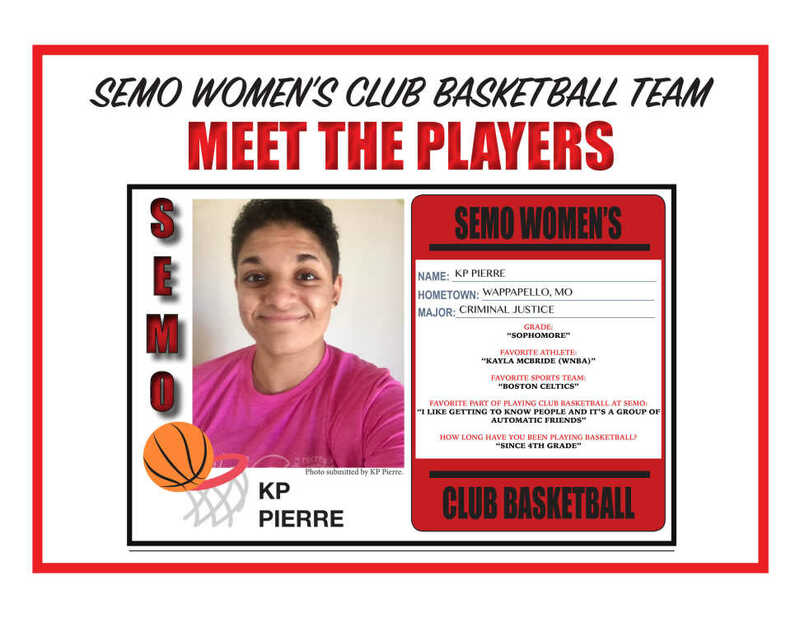 “I noticed SEMO didn’t have a club and I really wanted to keep playing, so I started it,” Pierre said. After talking with the coordinator of Intramural and Club Sports Crystal Dooley, Pierre was able to finalize the necessary paperwork and begin organized tryouts. As club president, Pierre said she worked hard to pick girls who best fit the team and have a good attitude. “Generally I like to take anyone I can, but tryout wise there is only a certain amount you can have on a roster and for club teams; I can have up to 15 members,” Pierre said. The team currently has seven members on the roster, and recruiting is ongoing. Gaining more members will allow the team to participate in weekend tournaments. The team under Pierre includes freshmen Kayla Fisher and Gale Fitzgerald, juniors Whitney Whiteside and Sarah Gratza and seniors Lauren Viessman and Christen Hopfer. The club practices twice a week. Despite no tournaments scheduled for this semester, the team maintains a competitive practice environment. Pierre designs shooting drills, she incorporates conditioning and schedules scrimmages to help grow her team. “I love that my team is growing better, but I also want to focus on the individuals, too, so that all around we are better,” Pierre said. 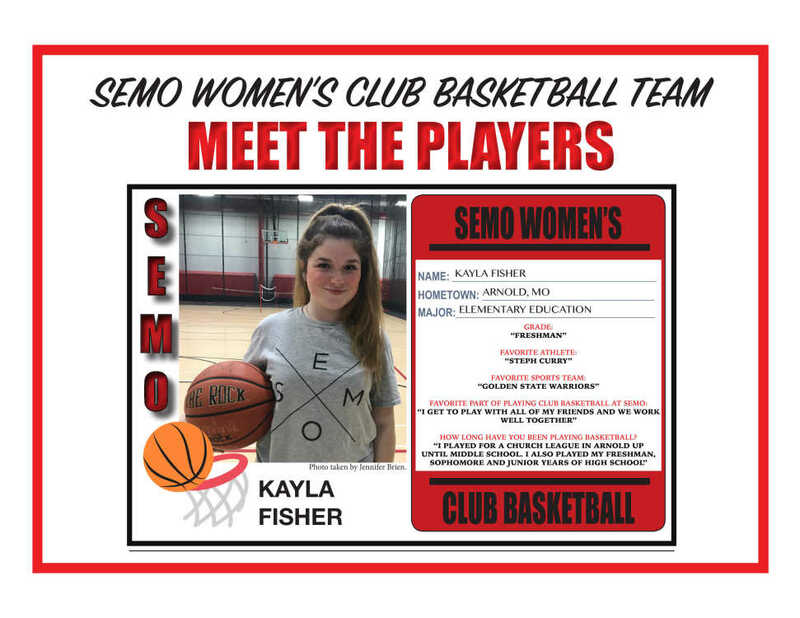 For Fisher, club sports have given her an opportunity to continue playing competitive basketball. 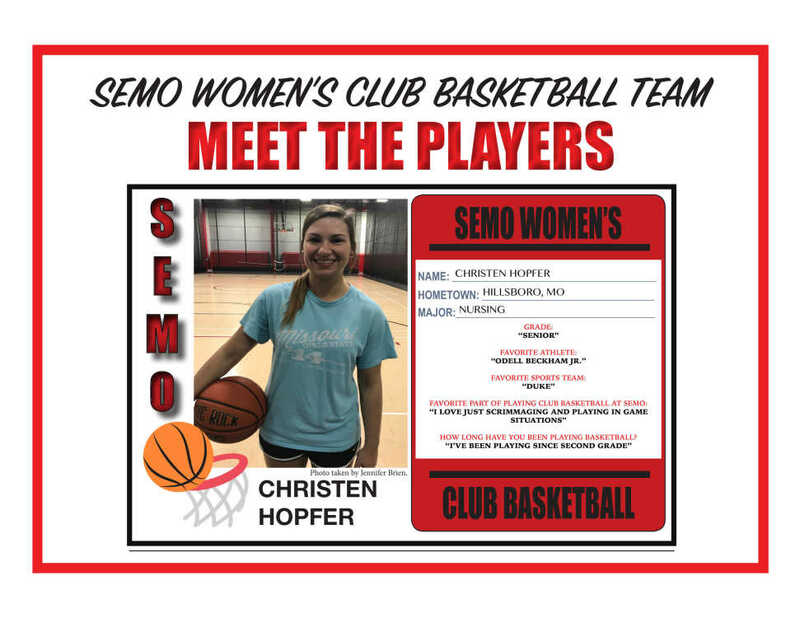 “It’s really different, you actually feel like you’re a part of an actual team, representing SEMO and not just an IM team,” Fisher said. Now, with the semester coming to an end in a few weeks, the team is hopeful for a strong turnout next semester and welcomes anyone with a passion for basketball to join. Pierre will be returning next semester as a junior and is excited for the future of the club.